Princesses are going back to New York and they need to look amazing. Choose outfits for them! 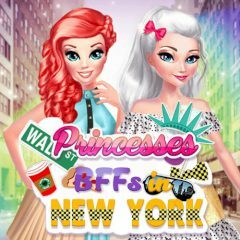 Princesses visit New York to have fun and see fashion there. Combine two things and get ready for everything. Dress up for each block you visit!